We are expecting some bitterly cold mornings this week. While it’s always our intent to hold school and keep students learning, we are watching the weather forecasts closely. Should we need to adjust our school day due to the weather, we will notify families as soon as possible by phone and email. See our website for more information about weather-related changes to our school day. Stay warm! 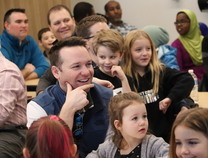 When third grader Sakina Dire heard about a monthly breakfast for dads and kids at Brookview Elementary, she couldn’t wait to tell her father all about it. Dire and his two daughters were just a few of the more than 50 people who gathered in the school’s art room on a cold January morning to take part in the All-Pro Dad meeting. Read more. The Governor and Lt. Governor are currently working with their commissioners and staff to develop their biennial budget proposal, which sets the groundwork for debate at the legislature this year. This will be submitted by Feb. 19, so the next few weeks are crucial to ensuring the Governor comes forward with a very strong budget proposal for education. Increase the basic general education funding formula. Increase the state’s share of special education funding to help pay for mandated but unreimbursed special education services. Increase in funding for safety and security of schools as well as to support mental health initiatives for students. 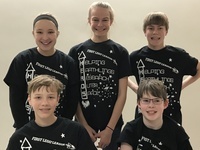 The Oak-Land Middle School Lego League team is heading to state! Less than 10% of the 637 teams in Minnesota advanced from the section tournament. Team HEROS (Helping Earthlings Research Outer Space) designed and created a prototype for a vermicompost that could be used on a long term space mission for growing plants in space. They also won the award for Core Values (discovery, innovation, impact, inclusion, teamwork and fun). 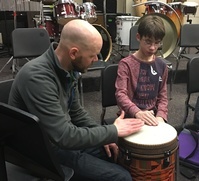 The Minnesota Percussion Trio visited Stillwater Middle School. The musicians performed “Around the World in 80 Beats” where they played unique percussion instruments for band students. The trio also held a workshop with grade 4 GATE students where they used everyday material to drum, including pot lids, paper bags and body parts. Our middle school percussionists were also treated to a master class. Thanks to the Partnership Plan for funding this wonderful opportunity. More photos on Facebook. Stonebridge Elementary students had the opportunity to participate in performance arts courses led by Zephyr Theatre instructors over the past two weeks. 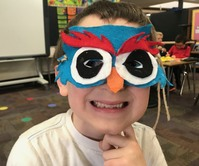 Grades K-5 learned folk dancing, musical theatre, costume design and mask making, Brazilian drums, stop-motion animation, and improvisation. Thanks to the Partnership Plan and the PTA for funding this amazing experience. More photos on Facebook. Families with young children are invited to join us for a fun Dr. Seuss themed celebration full of crafts, games & prizes, face painting, an open dance party and more! Bring your friends for PowerUp activities, Music Together, and Curio Dance performances. Suggested donation $5/family at the door. Supported by the ECFE Parent Advisory Council. The school board will hold a work session for the purpose of hearing a proposal for the Withrow property on Thursday, February 7, 2019 at 4:30 p.m. The work session will be held at the Oak Park Building located at 6355 Osman Avenue North in Stillwater. The board will hold a work session for the purpose of discussing budget adjustments on Friday, February 8, 2019 from 1–4 p.m. The work session will be held at the Oak Park Building in Stillwater. The board will hold a retreat on Monday, February 11, 2019 from 8:30 a.m.–4 p.m. for the purpose of board orientation and review of board governance components. The retreat will be held in Room LL16 at the Washington County Government Center located at 14949 62nd Street North in Stillwater. 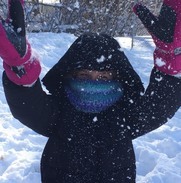 Feb. 2: Winter Carnival at Early Childhood Family Center, 9:30-11:30 a.m.